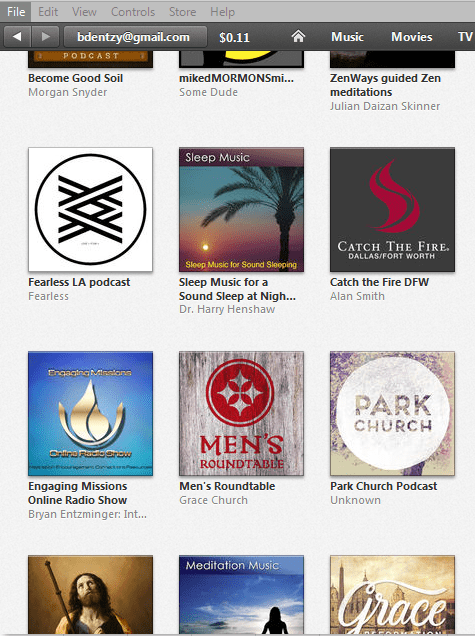 We're In "New and Noteworthy"
The Engaging Missions Online Radio Show is at position 64 in the iTunes “New and Noteworthy” section for Religion and Spirituality. This is REALLY important because it helps new people find the show and be inspired, encouraged, and challenged by the stories of God's faithfulness. We're also one of the top-rated shows in the Education and the Society and Culture categories. This is because YOU have taken the time to subscribe, listen, and submit your ratings and reviews. Thank you so much! Really! I'd like to climb a little higher, though. I'd really like for the show to break the top 10 in each category. Being listed is a big deal but it's even better if we can climb to the top. So, if you haven't already rated the show I'd really appreciate it. And if you could help me spread the word, that would be WONDERFUL. I've started a Pinterest Board to showcase each of your ratings. If you take a screenshot of your rating and review and send it to me (bdentzy) on Pinterest, I'll add them to the board. I'm looking forward to seeing all your pictures and connecting with you there.